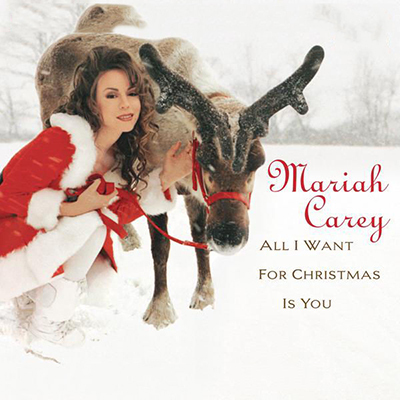 "All I Want for Christmas Is You" is a Christmas song performed by American singer and songwriter Mariah Carey. She wrote and produced the song with Walter Afanasieff. Columbia Records released it on November 1, 1994, as the lead single from her fourth studio album and first holiday album, Merry Christmas (1994). Carey has performed "All I Want for Christmas Is You" in numerous live television appearances and tours throughout her career. In the years since its original release, "All I Want for Christmas Is You" has been critically lauded; it was once called "one of the few worthy modern additions to the holiday canon" in The New Yorker. The song "All I Want for Christmas Is You" was commercially successful, topping the charts in the Czech Republic, Hungary, the Netherlands, Norway, Slovenia, and Spain while reaching number two in Australia, Japan, and the United Kingdom, and the top 10 in several other countries.